After doing the work and pre-work for the Mesa, Sunrise painting, I was feeling pretty burnt out. It was an intense experience as I needed to exercise restraint. 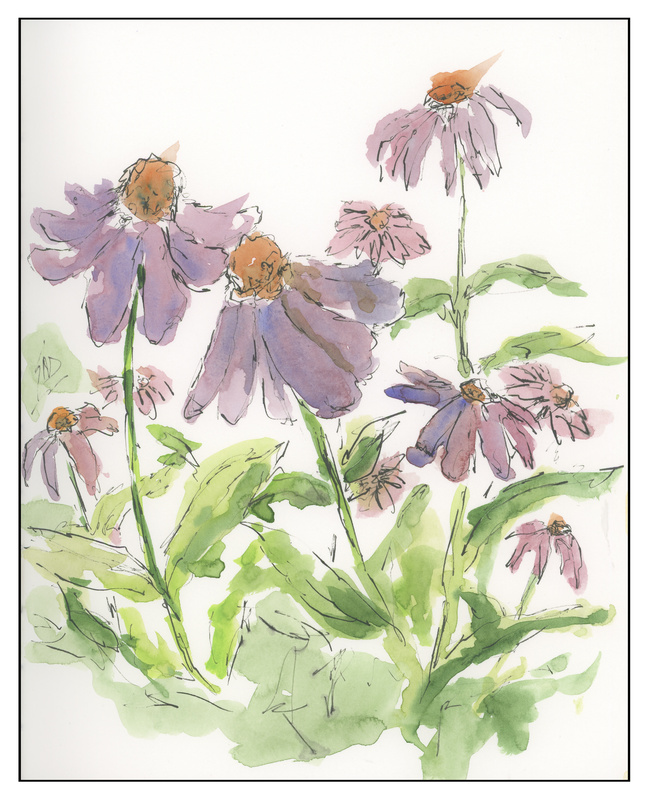 So, a loose drawing of echinacea did the trick of clearing my brain.